I have been doing a lot of shopping lately it seems! I have recorded several haul videos on youtube. 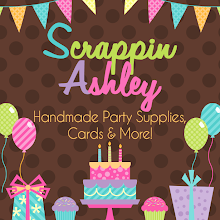 I am hoping to get back into blogging, especially with all my scrapbook layouts and cards I need to make! Hopefully now that school is back in session I can get some time in craft room when my son is at school! Scrapbook Process Video #18 "Kindergarten"
Finally a new video! Be sure to subscribe to me on actual youtube..I have several haul videos listed I havent shared over here! Yay..its the weekend! I was finally able to sneak in a scrapbook page. Life has been crazy busy with Aiden in school and soccer games and our home builders trying to finish up our 1 year walkthrough..which no one can ever show up all together and must come on different days of course. Here is a quick video I did about a painting we received about what our land use to look like. Love it! I am so sorry..I have uploaded about 3 other videos since I last "updated" on here! For some reason the website wasnt taking my blog posts!! Be sure to subscribe to be on YouTube to always see my newest videos when they are publised! We have had a great September so far. We celebrated Aiden's 6th birthday and it was alot of fun! We are still getting into the swing of Kindergarten and super early wakeup times and homework after school everyday + soccer games. Here is a layout I created where I used new supplies but still wanted to use my themed stickers I dont reach for as much anymore. Thanks for watching! I hope you had a wonderful and long weekend! Time to get back in the schedule of things. Aiden started to sleep in again this weekend so I am hoping he can wake up at 6am tomorrow morning without a problem (and me!). Here is a video of a card I created for my mom's bday. Thanks for watching! Here is my newest video! I hope everyone had a wonderful weekend...its almost time for another one here in a few days! Aiden is over being sick (yay!) The joys of being in Kindergarten...all those fun germs! Here is a layout I did where I played around with some mixed media, especially gesso and watercolor. I love the way it turned out and the colors are me!